I've always been sad to see Summer go, but this year I'm a little more prepared with some style essentials so I don't freeze my buns off at the office (holy a/c BRrrr) or out to lunch and dinner. 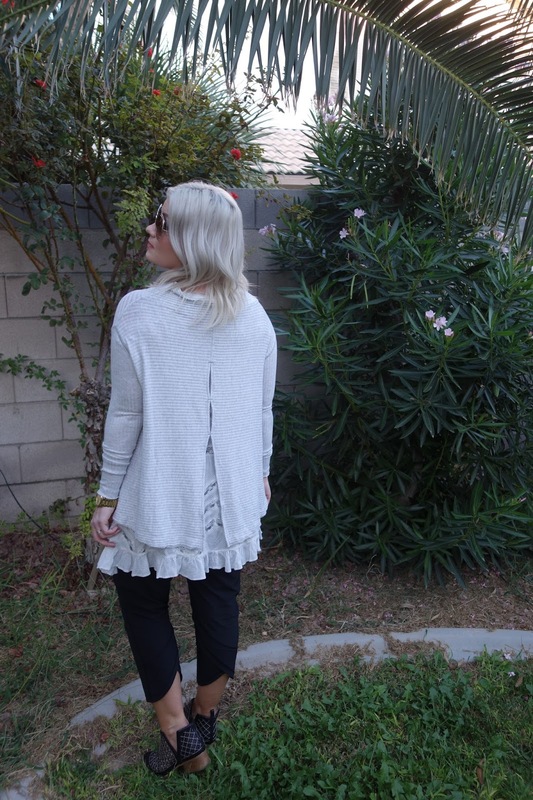 This Free People 'Love" Split Pullover is my new favorite top. It has an adjustable cowl neck, a gorgeous knit split back and best of all it's super lightweight, so I've been able to wear this day or night the past couple weeks. Oh, and it's super super soft which I love. Maybe I've been living under a rock, but besides underwear I've seen in actual Free People stores, I had no idea they had an intimate line. This swingy lace tank from their intimate collection is super delicate and feminine with tiny polka dots and lace throughout. I love wearing it under my Free People Pullover, but on warmer days I wear it along and have received so many compliments. Best part, it comes in four colors. 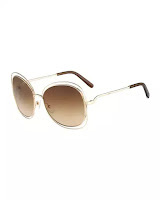 My new favorite sunnies by Chloe,were a gift from my husband. He has good taste, right? Ok ok I picked them out, but he still gets credit. They are super stylish and a good shape for my face. I don't leave home without them. 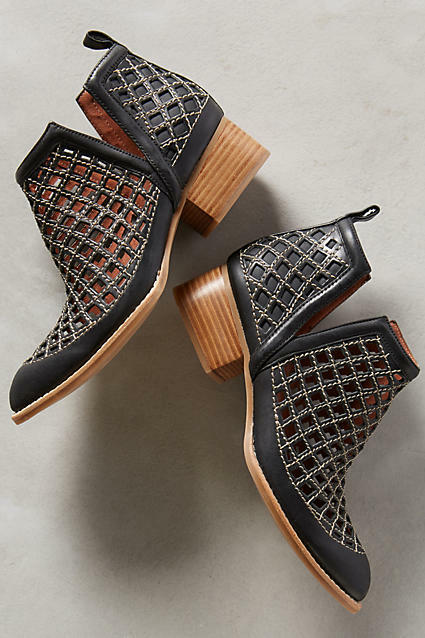 When I'm not wearing heels, I'm wearing these Jeffrey Campbell Taggart Booties. I think they speak for themselves, but I'll say I just adore the design. 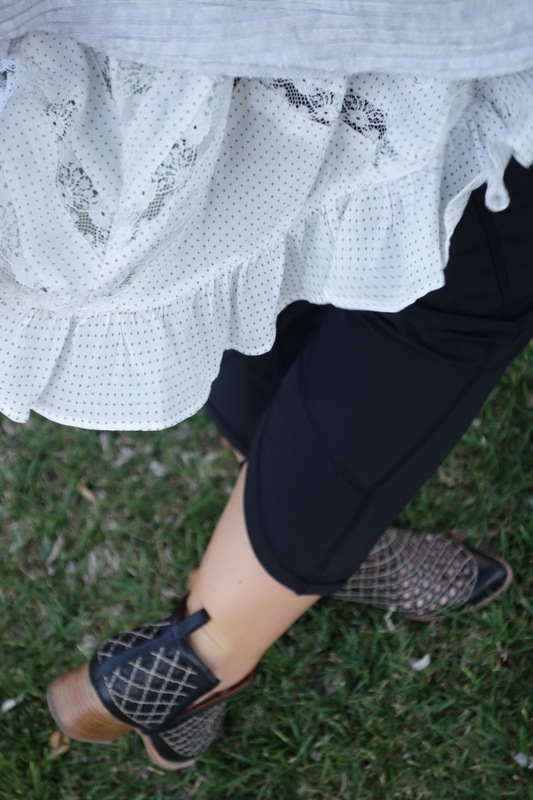 They aren't heels, but can still dress up any outfit - who doesn't love that? As always, thanks for stopping by my blog. Have a great weekend!!! I love the way you layered these tops! Adorable outfit and I am love with those booties, how lucky you are to live in VEGAS..I LOVE IT there, would love to move there if I could only find a job! Thank you. Yes, one thing about Vegas that is nice - the sun, everyday! You are gorgeous first of all. And, secondly that top with those beauties has me needing to go shopping- LOVE that look! That top is so lovely and I am completely obsessed with those shoes and sunnies!! Thank you so much. It's very cozy! 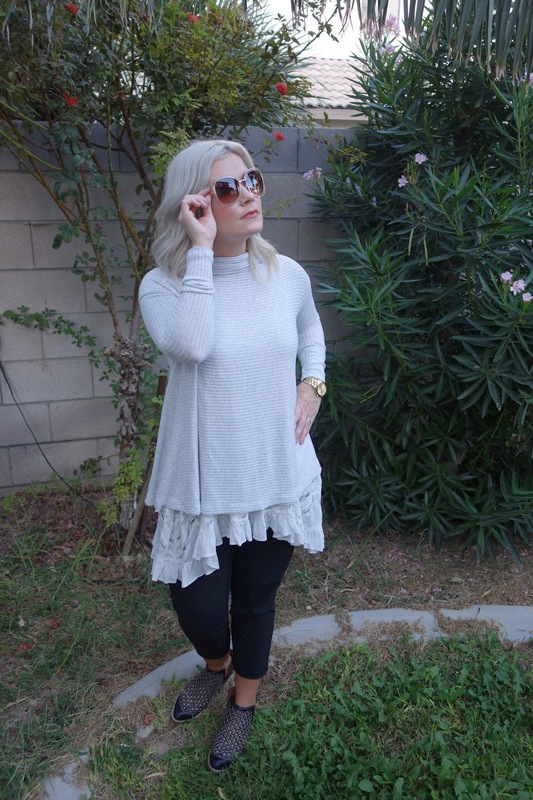 I am in love with the split top pullover and those awesome Chloe glasses! Love the super gorgeous pullover. It looks incredibly comfy too. I just love that top, it is so cute!